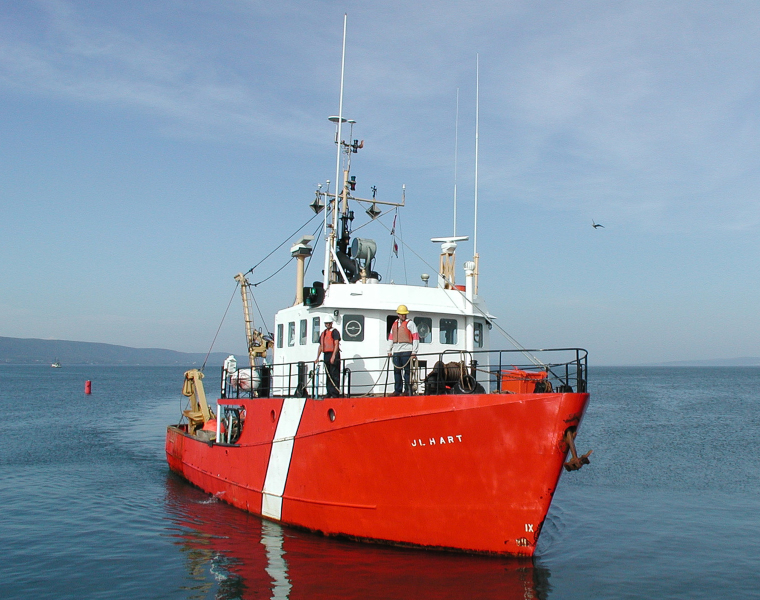 Canadian Coast Guard fishery protection and patrol vessel, CCGS J.L. HART, coming into the wharf in Digby, Nova Scotia, Canada on August 18, 2001. Builder: Industrie Marine de Caraquet Ltee.